Please join me in welcoming Patty to Minds in Bloom today. 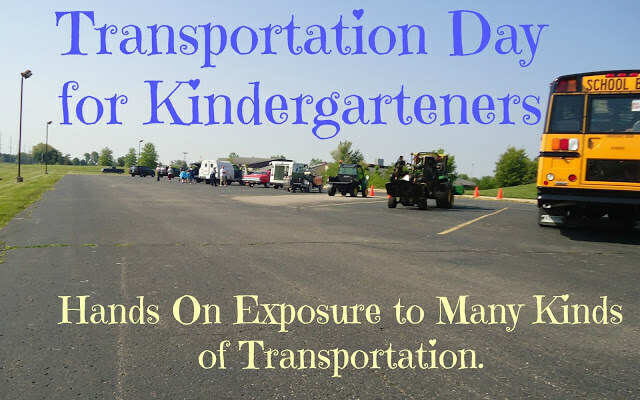 Patty is sharing a tradition her school does: Transportation Day for kindergarteners. 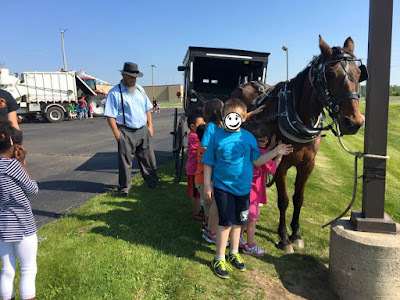 Read on to learn more about how Transportation Day works at her school and get ideas for how you might be able to start this fun day at yours. 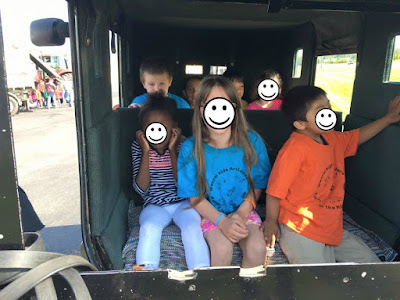 Every spring the kindergarteners get to see, feel, and hear about many kinds of transportation that they may or may not have ever seen up close. 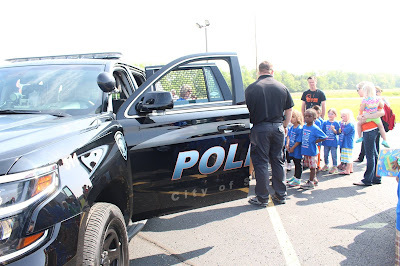 Trucks, tractors, police cars, ambulances, fire trucks, electric service trucks, motorcycles, Amish horses and buggies, bicycles, buses, combines, and mail trucks are just a few of the vehicles that gather together. We have a large parking lot that is empty during the day. All of the vehicles can gather here and give everyone plenty of room to see everything. The kindergarteners from three buildings are bussed here for about an hour-and-a-half to see everything. 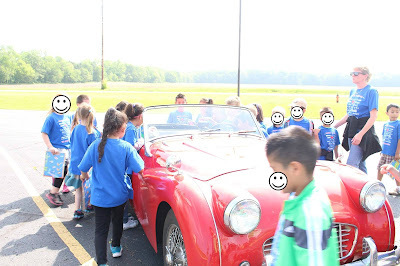 The students get to talk to the people who drive those vehicles and often get to climb right inside, too. 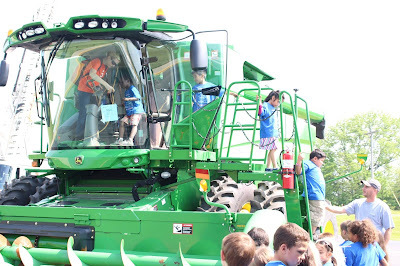 They may have seen a combine in a field working, but to actually climb up in this huge machine was so worth it! We share the roads with the Amish in our community. So, to see what’s it’s like inside a buggy was very exciting. 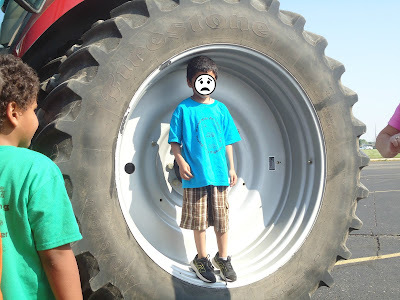 They are amazed at the size of some of the larger machines. 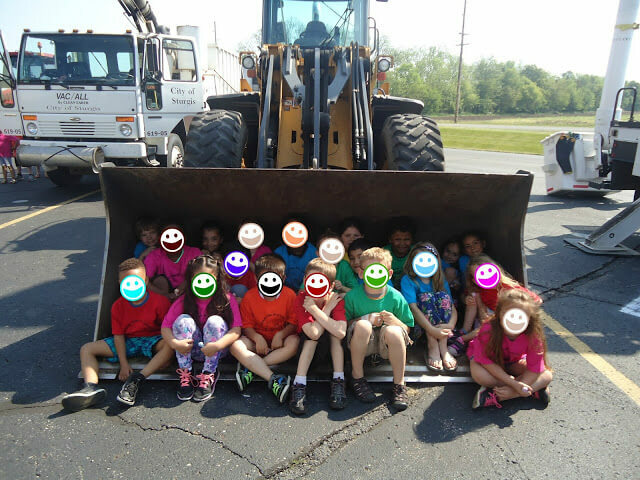 They got to see how long the bed of the semi truck is! 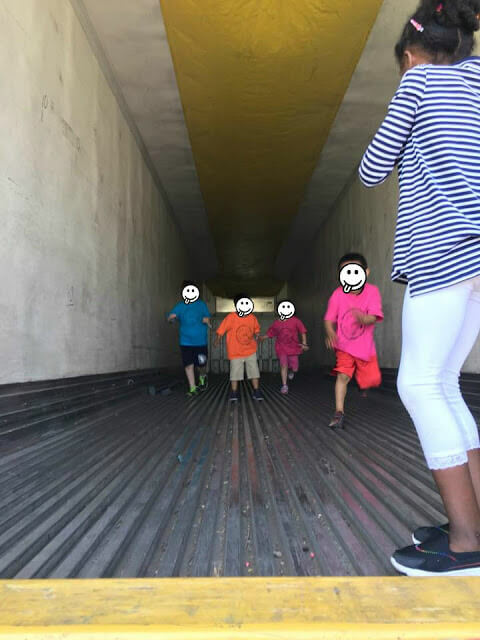 Running through it and screeching is louder than they thought! 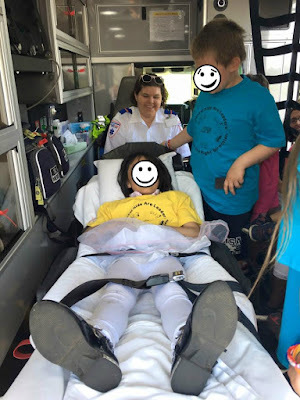 This little lady got to see what it’s like to ride in an ambulance, before she ever needs to. It’s pretty cool to see a car that’s shorter than a kindergartener! 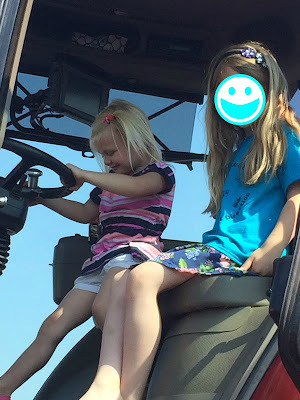 They get to actually practice safely getting out of the back of the bus, in case they ever need to do so. 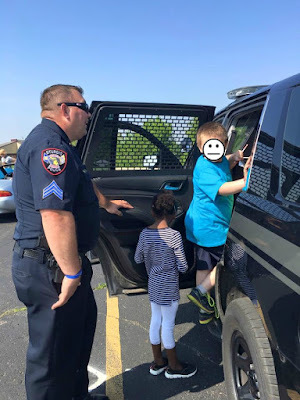 Besides having fun on this day, they learn a lot about many different kinds of vehicles, and many children form ideas about what they want to be when they grow up. 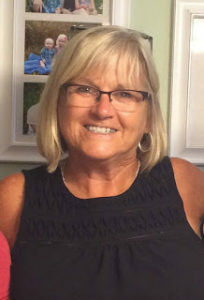 I am a retired 2nd grade teacher with 36 years of experience. Teaching is my passion, and I wasn’t ready to completely stop working with children. I am currently a part time Interventionist. I work mainly with 2nd graders. My son and his wife both teach in Sturgis. 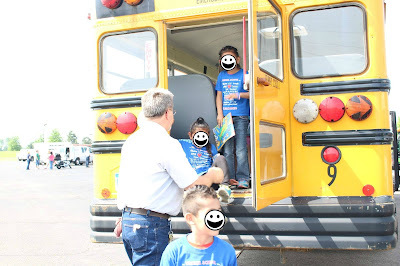 I often volunteer in their 3rd grade and kindergarten classrooms. My blog is 2nd in Line. 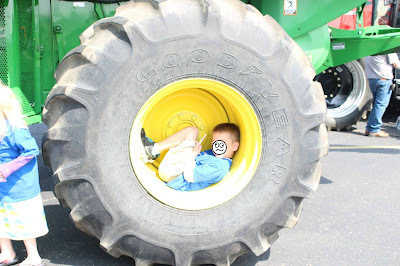 My posts are about things that work for my students and that may help other teachers. I am a contributor to Teacher Pay Teachers. My store can be found here. Very cool Patty!!! Thanks for sharing this fantastic tradition!